St. Matthew’s Choir is in need of additional members; come lift your voice to the Lord. 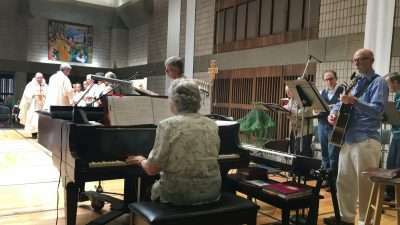 The Choir practices every other Sunday at 9:00 am through May 2019. All levels and abilities come join us. Also needed are cantors and instrumentalists for weekend Masses. Do you play the guitar, flute, piano or other musical instrument? Please come share your time and talent with your parish. Call the parish office, contact mleibl@st- matts.org or just join us for practice.